One of the most important aspects of a recipe is the work that it does to situate bodies and their possibilities in time. One possible way for this to happen is by opening up pathways for the possible. If X happens, then Y. If A happens, then B. If you don’t see improvement, if a patient’s body is too far gone, if the treatment doesn’t work: if, if, if. If is the engine of the imaginable, the machine that generates multiple futures, the opener of windows. If reminds us that we are entities in time, and that time creates divergences and multiplicities. Manchu recipes were full of ifs. Like other medicinal recipes, there was no guarantee that any of the cures transcribed within the Si yang-ni okto-i bithe would work for any individual patient. Instead, the recipes were instruments: users were invited to consider them, to try them, to try again, to find what worked for themselves, if they found the ingredients difficult to obtain, if the recipe wasn’t working the way it was supposed to. The authors assured their readers of the efficacy of individual recipes by claiming that a remedy had been shown to work in some circumstances – if a person had been stung by a venomous creature, for example, or if a woman were pregnant. If created a space, here, that integrated repetition and multiplicity into the process of using a recipe. If transformed failure into opportunity: if drinking a potion didn’t work, try rubbing it on the skin. If that didn’t work, try it again. If THAT didn’t work… well, ultimately the blame could be laid on time having run out before the ifs were exhausted. A recipe was essentially a collection of ifs, always opening out into the possibility, when all ifs in one recipe were exhausted, of moving on to another. In this way, if was a kind of when: it located and moved bodies in time. The body to be treated by a recipe was a body that extended into the future and related back to the past in very particular ways, marked by the memory of a wound or poisoning, anticipating a reaction to a medicinal drug. 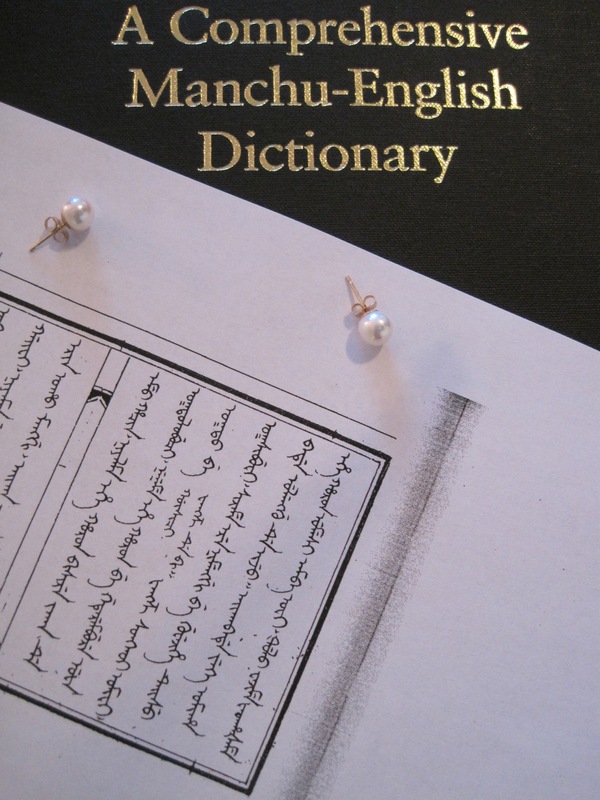 Translators working to render a hybrid collection of materials, names, objects, illnesses, and rules into the medium of Manchu documentary language were rendering not just terminology, then, but also were negotiating ways of being in time. How does one translate if? In doing so, is a translator helping to create ways of being-in-time for a reader? If so, are translated recipes tools of time-travel? In the Englishing of the Manchu recipe provided below, I’ve emphasized some of the different sorts of if-ness that shape the recipe in an effort to show how important this kind of relationship is to the text. As we saw with with in the previous post, there are also implied moments of if-ness that I haven’t called attention to. And with that, here is the if translation of our ongoing series of translations of this Manchu recipe. Follow the links, which will take you off the page! IF a person has just been poisoned use this recipe. IF not, go here.